10.1" x 9.9" stitched on 14 count. 7.9" x 7.7" stitched on 18 count. 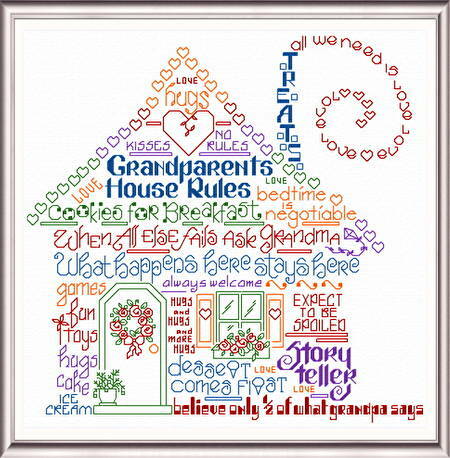 Let's Have Fun At Grandma's cross stitch pattern... Another colorful pattern in our 'Words'series for Grandma.